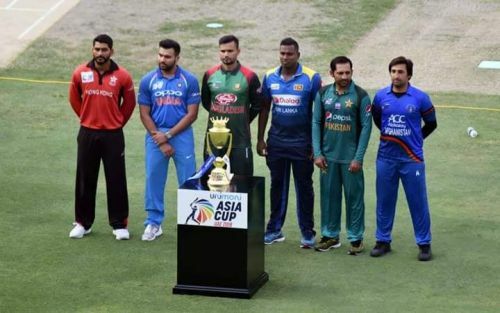 Asia Cup provides perfect preparation time for all the teams to finalize on squads and probably ahead of the 2019 Cricket World Cup in England. Last time, the tournament was held in the T20 format and this year it will be back in its regular 50-over format as a build up to the key 'marquee' event. Six teams were separated into two groups. Asia Cup Qualifiers Winners Hong Kong were in Group A with arch-rivals India and Pakistan. Five-time winner Sri Lanka, Bangladesh and Afghanistan are placed in Group B. We will have a look at Group A team combinations, stats, players to look out for. 'Asia Giant's' title defence quest will commence with two back to back clashes against qualifiers winners Hong Kong and arch-rivals Pakistan. Virat Kohli's rest will give them an opportunity to try and find players for middle-order conundrums. KL Rahul will come at no.3 and two out of Pandey, Rayudu, DK and Kedar Jadhav will occupy middle-order slots. Kedar's return after an injury during his lone stint with CSK in IPL will provide a solution to their sixth bowling option problems. MSD and Hardik will do the finisher's role. Axar Patel can be rotated in the spin department and in the pace department, all eyes will be on comeback man Bhuvi and new entrant Khaleel Ahmed. --> 6 (5 in ODI's & 1 in T20 format) - India's Asia Cup Titles out of 13 editions. Most for any team. Pakistan had a mixed 2018 in ODI's after their CT'17 triumph. First, in January, they lost 0-5 in NZ and couple of months back they won 5-0 in Zimbabwe. But they had an exceptional time in T20 format winning all the series they had played at both home and away. Fakhar Zaman & Imam-Ul-Haq's new alliance at the top reaped rich rewards to the batting department. The former even registered his country's first and only the sixth double ton of the format. Babar Azam, 'man in crisis' Shoaib Malik and captain Sarfraz will look after the middle-order duties. Asif Ali, Shan Masood and Faheem Ashraf are capable of clearing the fence in the final overs stage. As usual, they had the strongest bowling attack in the tournament. 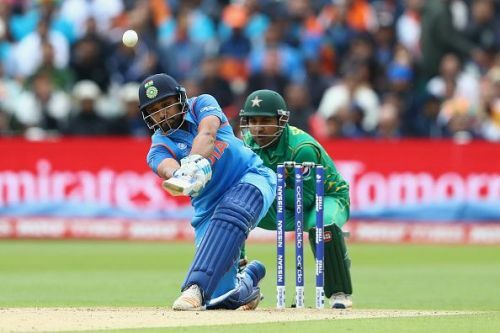 --> Since CT'17 Final against India, Pakistan had 5-0 clean-sweeps against Sri Lanka at UAE & Zimbabwe. Interestingly, they lost 0-5 in NZ. --> 18 - Innings took by Fakhar Zaman to be the quickest to 1000 ODI runs. Hong Kong might not have qualified for the World Cup, but they succeeded in Asia Cup Qualifiers to qualify as a sixth team in the tournament. They pipped hosts UAE dreams of playing a major tournament at home by beating them in the qualifiers Final. Under new captain Anshuman Rath, they will try to utilise this series as an opportunity to form a core side for ODI Championship which will commence after the end of 2019 World Cup in England.